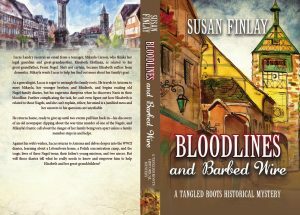 The countdown to publication has begun for my new historical mystery novel, Bloodlines and Barbed Wire. It should be out in about a week. Until then, you can get a glimpse of it here. Leave a reply on "Coming Soon!"